This marvelous brand producing timepieces of the top choice was founded in 1983 by Gerd R Lang who has quite an extraordinary approach to the watch manufacturing. Before starting his own company, this genius man had worked for many other famous companies producing timepieces of the exceptional quality. Based in Lucerne, the firm started to conquer the sphere of luxurious and elite watchmaking industry very quickly. Chronoswiss developed many outstanding models and collections impressing customers with their delicate design and the meticulously-crafted mechanisms. 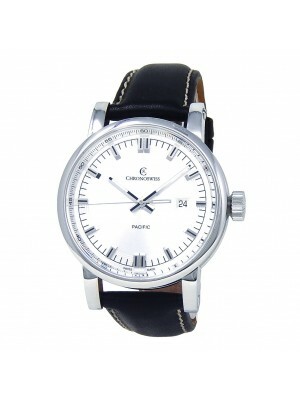 Sophisticated assemblage of Chronoswiss products is the brand's visiting card in the world of contemporary watchmaking. Such models as Opus and Repetition a Quarts are real masterpieces of Haute Horlogerie. 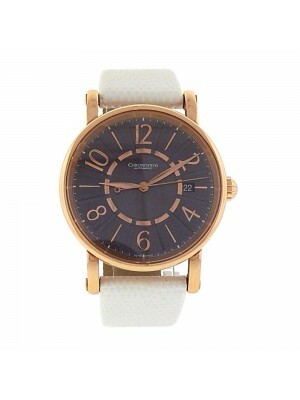 Launched in 1987, Regulateur watches became iconic timepieces of the company. The most interesting feature of these great watches is the regulator-style dial that was the breakthrough in those times. 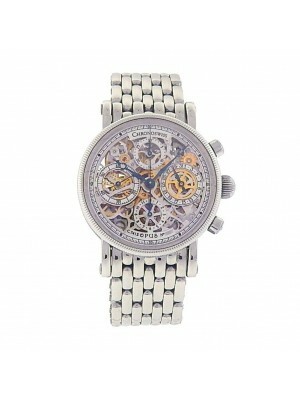 In 1991, the firm launched its first chronograph watch. The collection was called Kairos Chronograph due to its exotic delicacy and extravagant appearance. The most extraordinary timepieces of the brand are “Delphis” models combining digital, analog, and retrograde displays. By all means, it is the masterpiece of the contemporary watchmaking art. Later in 2002, the Chronoswiss company was bought by Oliver Ebstein, a successful entrepreneur who is still the head of the famous brand. The headquarters of the popular firm are currently situated in Lucerne, Switzerland, and everybody who wants to get acquainted with numerous collections and models of the brand can visit the “House of Chronoswiss” to learn traditions and craftsmanship of the famous firm. The exhibition includes many wonderfully crafted timepieces that reflect the talent of Swiss masters. Besides, due to the fact that the owner of the company is keen on car racing, this prestigious brand was the official partner of many races and sports events. Lately, Chronoswiss introduced the brand-new collection of elite watches for the Kitzbuhel Alpine Rally called “Regulator Rallye Limited Edition 30.” This event is one of the most popular vintage car competitions that celebrates its 30th anniversary this year. Given the fact that there are only 30 watches in this collection, these timepieces can be called a real treasure for connoisseurs and fans of the Chronoswiss watchmaking art. Together with an extraordinary and bright design of dials, these watches are also waterproof, so you can be sure that this collection will meet all your requirements. 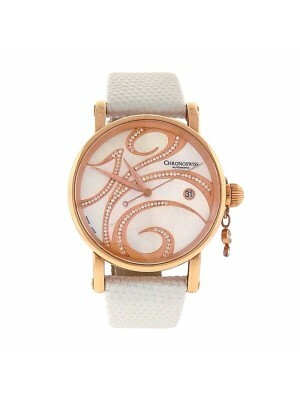 The company tries to launch only exclusive Chronoswiss watches with beautiful decoration and sophisticated assemblage. By producing only 7,000 watches a year, this successful firm highlights its exclusive approach to each client. Thus, Chronoswiss pre-owned watches are in demand among the wealthy individuals and connoisseurs from all over the world. 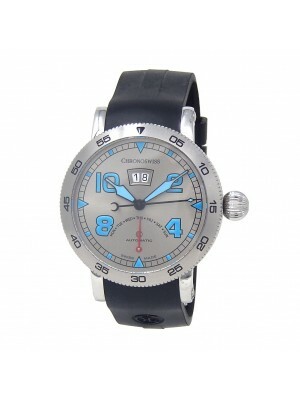 Beautifully finished timepieces of this exclusive brand are sold mainly at auctions at high prices. 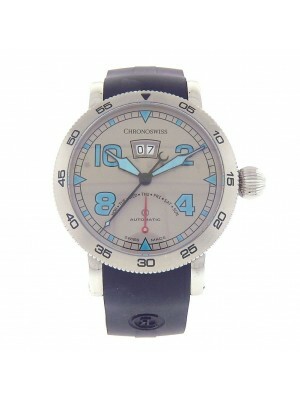 However, one can be lucky enough to obtain a Chronoswiss masterpiece online or buy it in numerous boutiques. When choosing the beautiful and prestigious watches of the honorable brand, clients can enjoy the improved movement partially based on the Enicar 165 that is highly popular among different manufacturers. Engineers and designers of the Chronoswiss company know how to create something special, and they produce hand-crafted masterpieces of high quality that will meet the requirements of the most discerning connoisseurs.